A well-known Spanish photographer gets into trouble in the Kazakh mountains. He faces inevitable death, but nature gives him one more day to survive. Born in Alma-Ata in 1982. 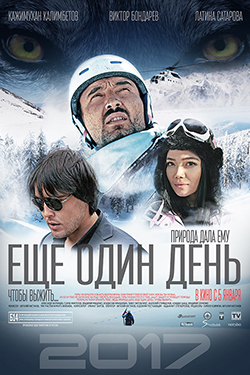 Director and cameraman of the Geographical Society of Kazakhstan, public figure. Participant of the round-the-world expedition across 70 countries.